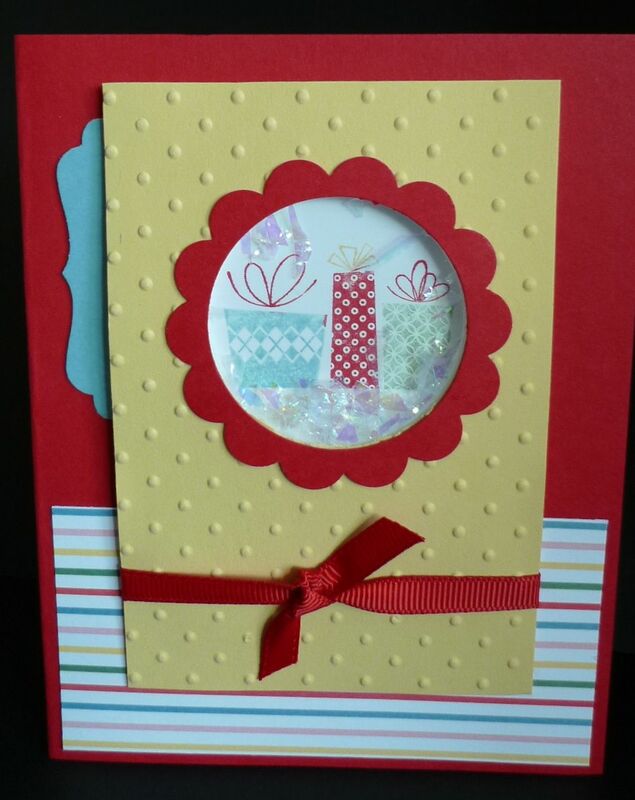 Karina's Kreations: Patterned Party Shaker Card! 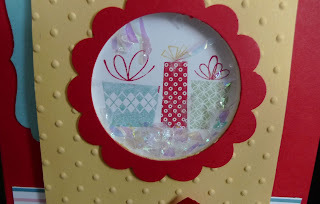 Have you made a shaker card lately? 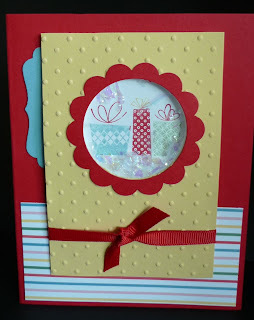 Stampin'Up has come out with a new product that makes it so easy to make fun shaker cards. The product is called Shaker Frames #124155 which can be found in the Holiday Mini Catalog. You get 36 frames for only $5.95. I stamped my image from Patterened Party on Whipser White card stock and placed a Skaker Frame over top. 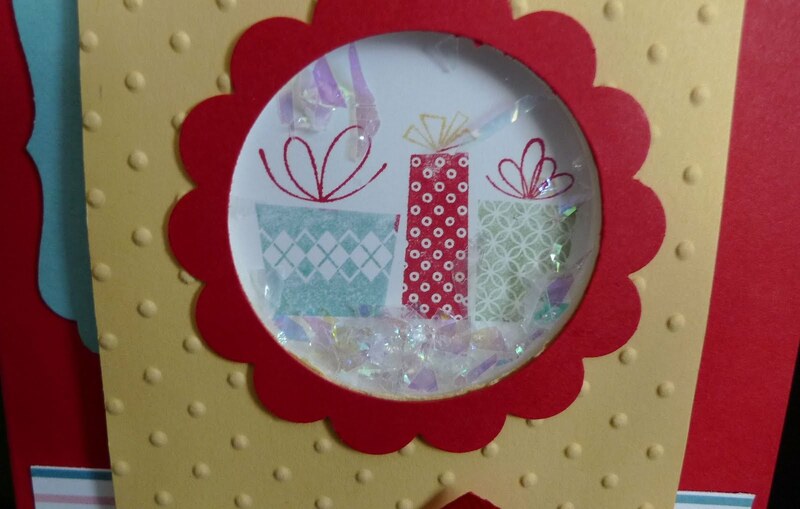 I added some Mica Flakes #124115 $4.50 to the frame. I covered the frame with a Window sheet. I hope you try to make one. They're fun!! !